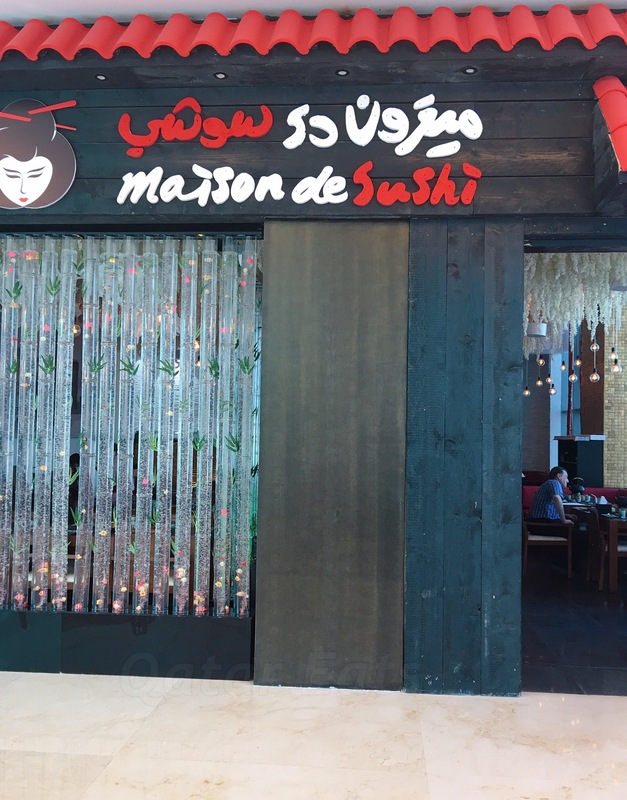 Tucked at the 2nd level corner of 01 Mall, lies Maison de Sushi. 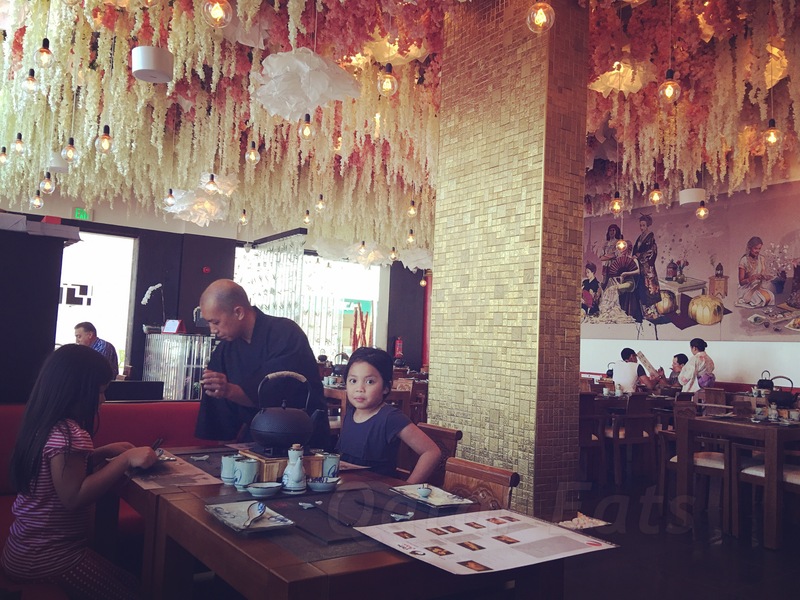 With the striking Japanese design and tubular aquarium with cheesy but cutesy fake fishes and plants at the entrance, you will definitely not miss seeing this restaurant. Once you step in, you will be immediately greeted by the staff in their Japanese kimono. 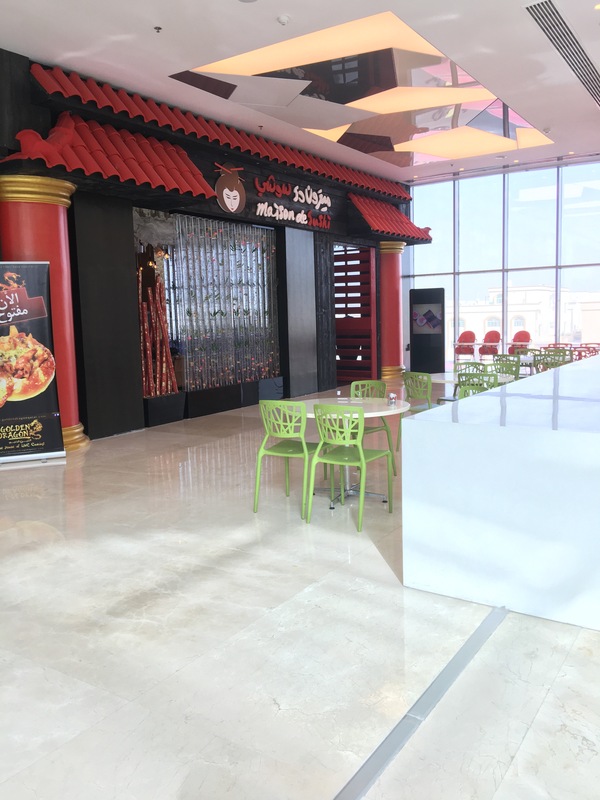 The design of the place left me mildly shocked (in a good way) as I wouldn’t have thought that this is inside a mall and beside a food court. 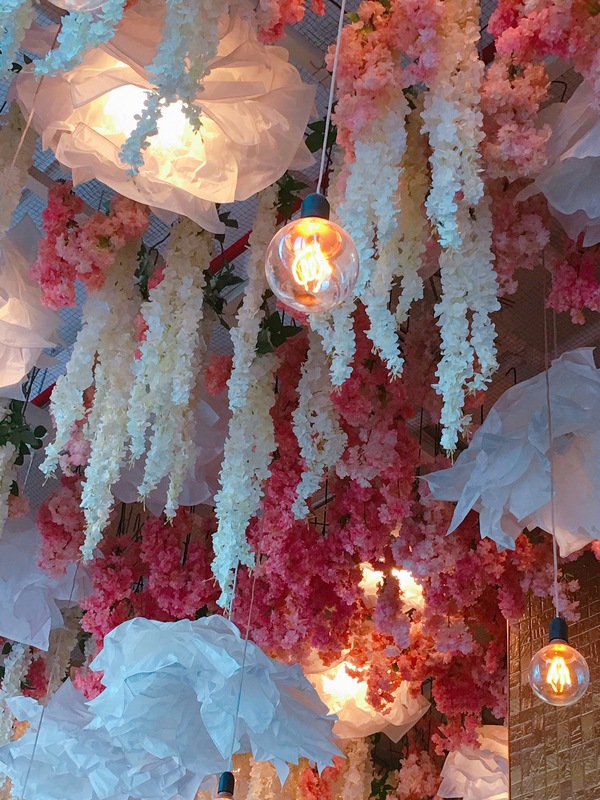 Hanging wisteria-like paper flowers, lamps ( a lot of them) covered the whole ceiling. Then there’s this massive painting spanning the whole length of the wall. 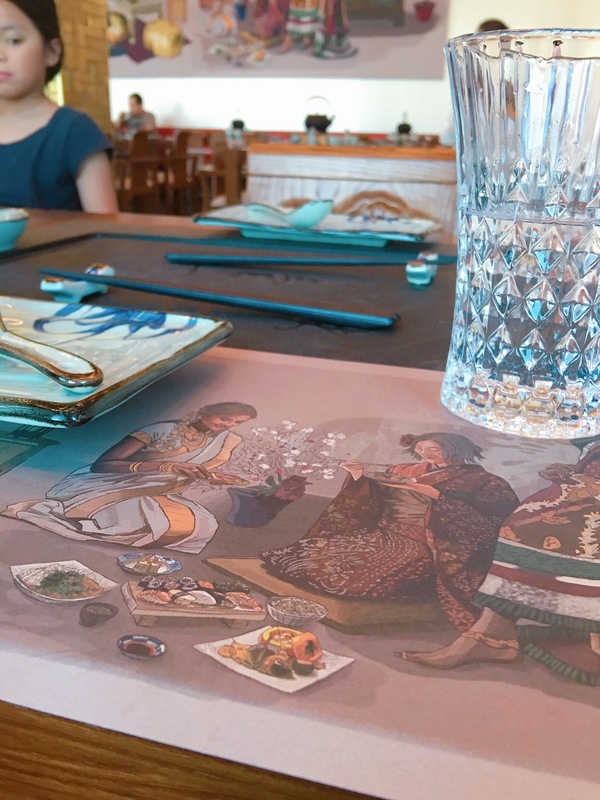 I think it was made for this restaurant as the paper mats have the same drawings. 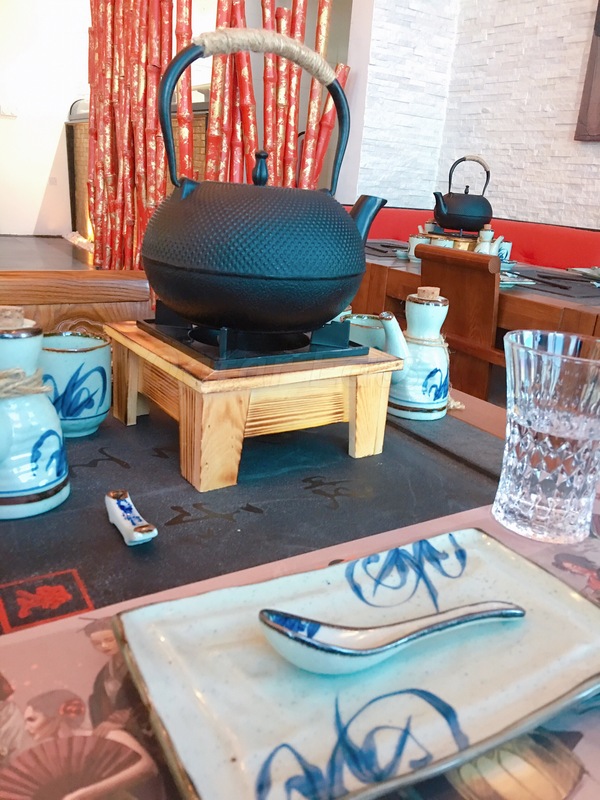 Their attention to details is shown with how they decorated the tables with cast iton teapots, carved chairs, tablewares, etc. 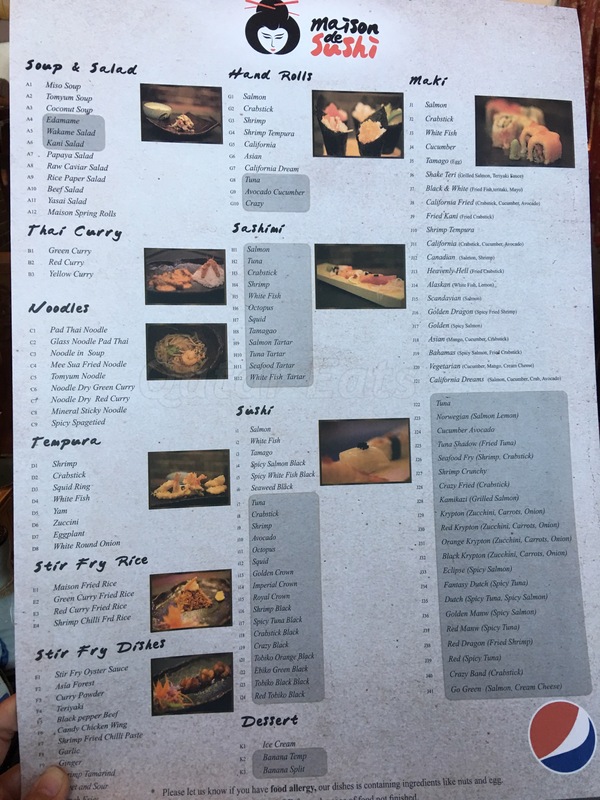 I had the chance to speak with the owner of the restaurant as he was making rounds on the tables and he said that he wanted to merge the Asian cuisine with a mom’s-cooking style that translates to homemade goodness and freshness as depicted in the aforementioned painting. I believe you, sir. Enough about the looks, let’s get on with the food. They serve mostly Japanese food with a sprinkling of Thai. Since this was a buffet, I wouldn’t gloss over the details that much but evey single food that was served were all simply delicious. 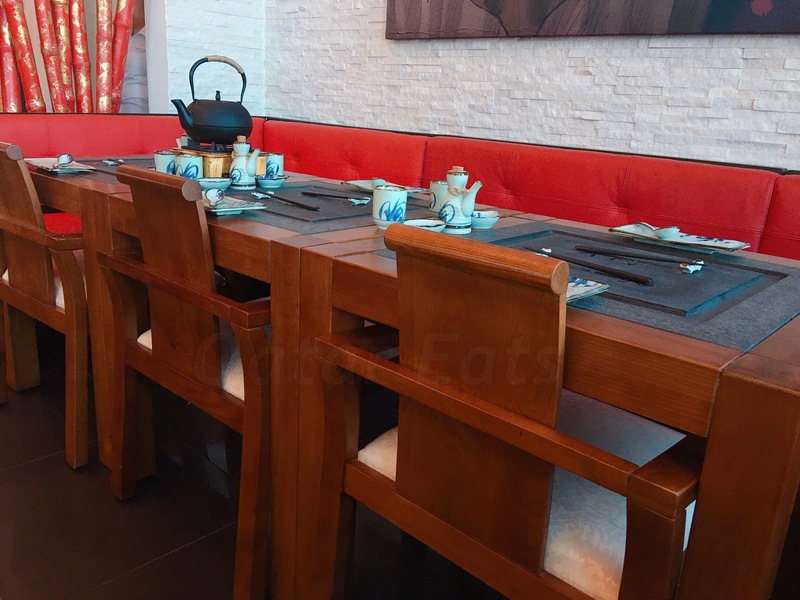 They have a made-to-order style of buffet which is a good thing to ensure the freshness of the product. So I wouldn’t advice anyone to go there on a very empty stomach because they have to prepare the food as per your order. Good food takes time (most of the time). 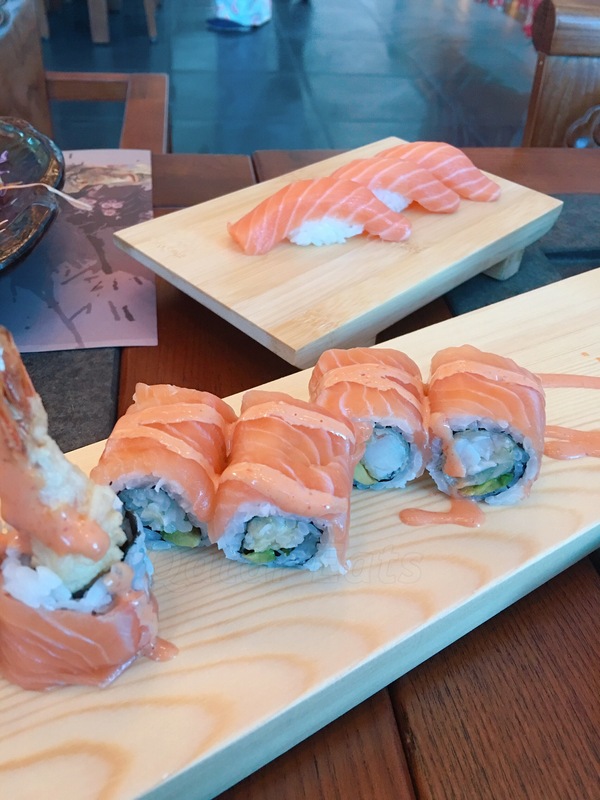 Sushi Nigiri and Salmon Makizushi – so fresh and so yum. 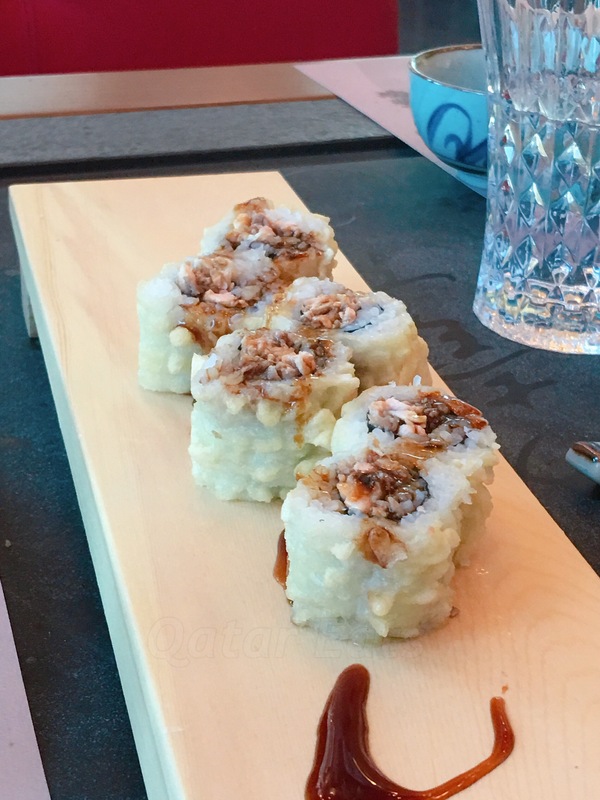 The nigiri is counted by piece so make sure you mention the quantity that you want. 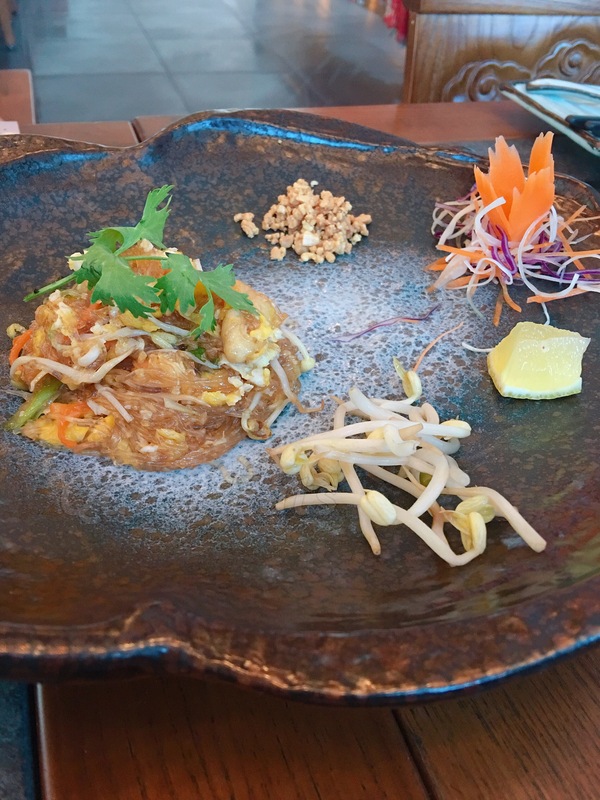 Glass Noodle Pad Thai – It was delicious! It comes in a small serving which was perfect. You don’t wanna get stuffed to quickly. Plus you can order again. And again. 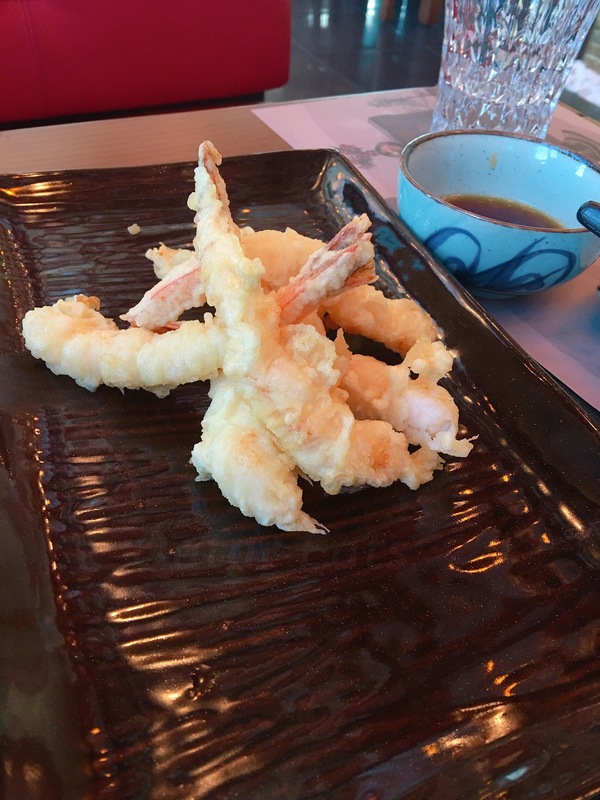 Tempura – freshly cooked and light. You order this per piece like the nigiri. I initially ordered two think that it comes in a bunch. Imagine the fight I had with my daughter. Shake Teri (Grilled Salmon with Teriyaki Sauce) – It’s one of ’em fried rolls but it’s not breaded and fried to death. The salmon was grilled to perfection, the roll wa delicately fried and the teriyaki sauce just sealed the deal. 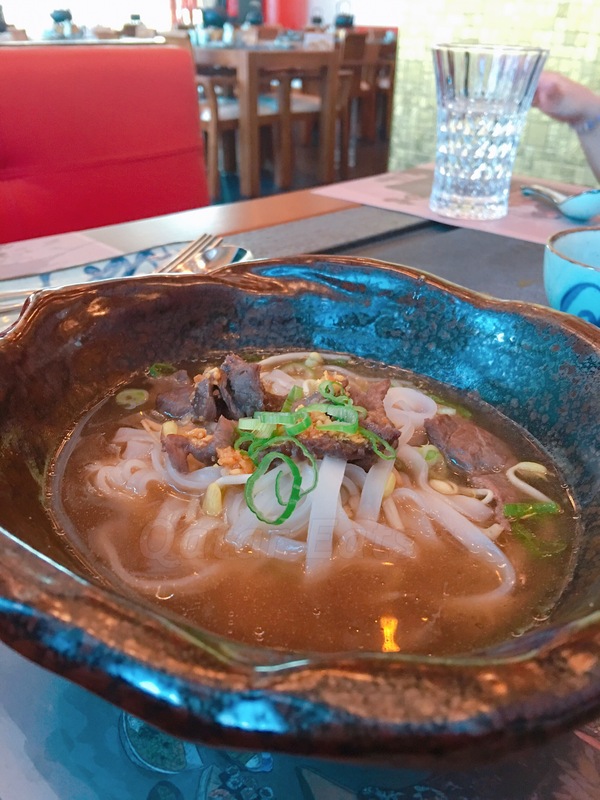 Noodle in soup – the kids were the one who ate this and judging from the cleaned up bowls, it was delicious. We got a complimentary gift from the owner, which was a torched nigiri prepared by the chef. I love gifts and food. Put them together and surprise me with it? You, sir, have just made my whole day. I opted for the Business Class Lunch buffet for QR80 including water and sodas. They have another type which is the First Class Lunch buffet for QR130-ish (not so sure about the exact price) which is just basically a more varied selection in their buffet. Honestly, the Business Class have enough selection but if you wanna go for the fancier stuff, First Class is the way to go. By the end of typing this post, I started craving for sushi again. At 3AM. So yes, definitely returning. As I was chatting with the store manager, I can’t but tell him “please don’t change whatever food quality, service, taste you have right now”. He kinda looked at me strangely and said “no, ma’am. We won’t”. Is it open officially? Because when I checked it on zomato it said that they’re “opening soon”.